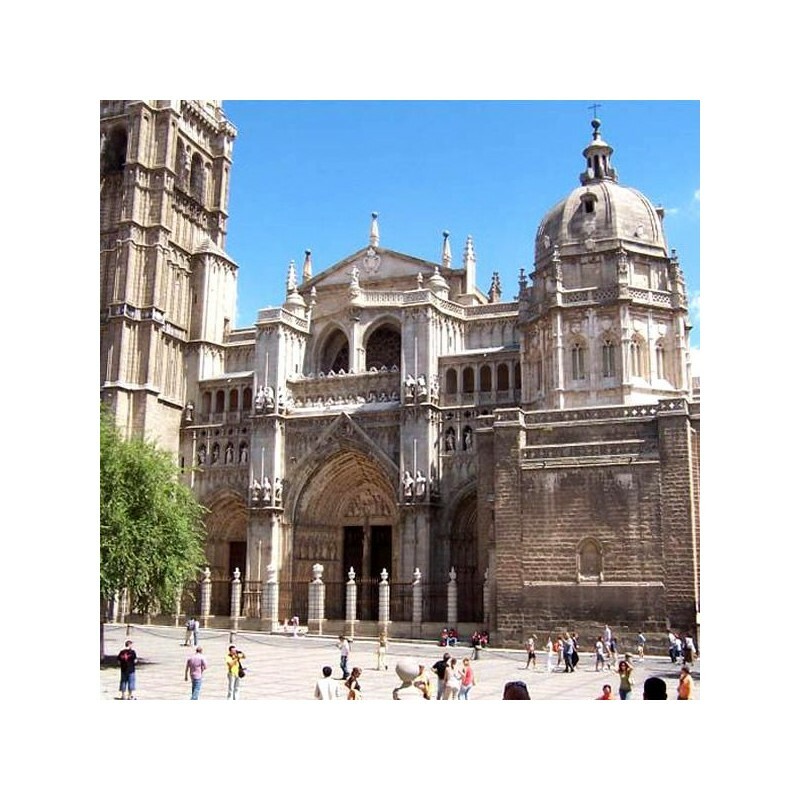 Upon arrival we start with a panoramic walking tour of Toledo, entering to the old quarters to admire the Town Hall Square and visit the inside of the impressive Primate Cathedral. Afterwards we will continue to the the old Palace of Justice and the City Hall. We´ll continue our walk through the old Jewish quarter to visit the Church of St. Tomé, with the very famous painting of El Greco "The Burial of Count Orgaz", the old Synagogue of Ste. Maria la Blanca, which remain as a symbol of the coexistence of the "Three Cultures" and the Monastery of San Juan de los Reyes. We´ll also visit a typical factory of Damasquino, well known handicraft art of Toledo. 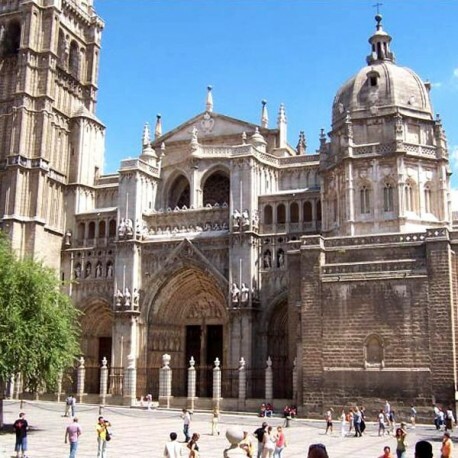 It is one of the most impressive monuments of Toledo and unique in Spain, the Great Cathedral of Santa Maria de Toledo, magnum opus of the Gothic style in Spain. 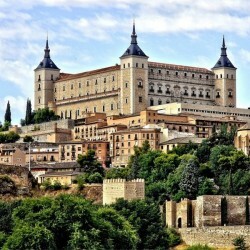 It is an indispensable visit in the heart of Toledo. A spectacular piece of the architecture and the Spanish art.